Well, the first critics awards of the season have come rollin’ in, and the Big Winner so far is Casey Affleck, who has just racked up Best Actor from the Gotham Awards and the National Board of Review. Right behind him is his beautiful film “Manchester by the Sea” and I couldn’t be happier or prouder of this fierce little Indie’s overcoming all the studio behemoths to reap these much-deserved rewards. It’s such a good film. And its’ filmmaker, playwright/director Kenneth Lonergan is one of the best talents we have working today. “Manchester” is a film that grows in the memory. It lasts. It stays with you, as all great films do. It’s a comedy that contains its’ characters going from one funeral after the other. 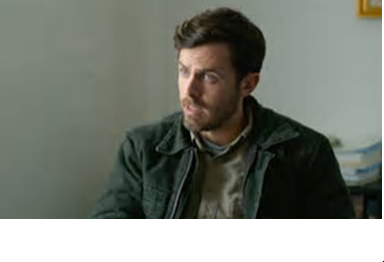 To reveal more of the plot is to spoil it, so I’ll stop here and say that Casey Affleck’s performance of the grief-stricken Boston janitor certainly deserves these accolades and I’m sure he’s got more on the way. 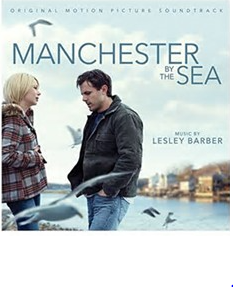 No more “Ben’s little Brother” fleck really comes into his own in “Manchester.”Such a searing portrait of grief, I don’t think we’ve ever seen on the screen quite so indelibly. Also gaining some surprising and much needed traction from these early awards is “Moonlight”s Naomie Harris, who I’ve been mentioning over and over in previous Oscar blogs as the crack addicted mother of the central character. Also rollin’ in to the National Board of Review is Jeff Bridges’ nominated for his crusty, West Texas retiree lawmaker in “Hell or Highwater” for Best Supporting Actor. The Independent Spirits nominated Ben Foster also from “Hell” in this same slot, but not Bridges. And as previously stated the entire ensemble of “Moonlight”s actors received a special award for excellence at the Gothams. “Moonlight” was also the Big Winner at the Gothams last night with four awards. It’s Out Gay writer/director Barry Jenkins scoring in both categories. It’s also interesting to note that neither of the millennial actresses who are considered front-runners Emma Stone for “La La Land” and Natalie Portman for “Jackie” won in this busy past 24 hours. French actress Isabelle Huppert triumphed for “Elle” at the Gothams and six-time Oscar loser Amy Adams won the NBR Best Actress Award for “Arrival.” Could this FINALLY be her year? 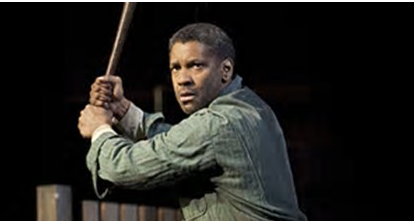 For a list of all Gotham Award Winners and the National Board of Review’s, too, go to http://www.awardsdaily.com. 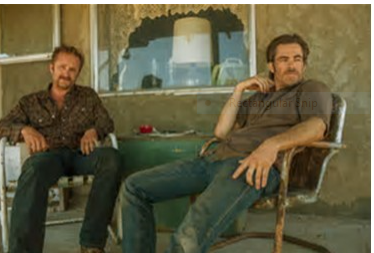 “Hell or High Water” One of the Most Unlikely Best Films of the Year! Ben Foster Galvanizes as the Villain You Root For! I have to admit to resisting “Hell or High Water” since it’s arrival this summer. This surprisingly much praised Indie hit has gone on to make over $30 million and now it’s being talked of all the time as an Oscar contender and all of that is true. Now that I’ve figured out how to use the VOD function on my cable TV, there is no excuse. And now I have to bow down and start raving like the fan it made me. It IS one of the Best Films of the Year and will definitely be on my Top Ten list. And the Oscar talk is totally justified! Ben Foster whose star is rising and rising here comes into his own as the bad boy brother, Tanner, of the two Texas brothers that this film is about. He just got a totally deserving nomination for Best Supporting Actor at the Indie Spirit awards, and I hope that nomination goes on to further his chances of repeating this at the Oscars. Chris Pine, who usually plays mighty leading men of the “Star Trek” kind, here astonishes, too as the film’s lead, as the good brother Toby of these two young Robin Hood bank robbers that you can’t help but root for as they rob one Texas Midlands Bank after another. Their motives are totally noble. They want to pay off the reverse mortgage on their late mother’s land in West Texas. And yes, Texas Midlands bank is who is going to fore close and take the suddenly oil rich piece of property for its’ greedy self. Most of the Oscar talk has centered around Jeff Bridges, who is channeling Tommy Lee Jones’ retiring, tired lawman in “No Country for Old Men.” But note, it is mad man Foster who got the Indie nomination! Of course, Bridges is very, very good, too, especially in the climatic scenes. Pine, Foster and he should ALL be nominated! And David MacKenzie is the director, a talent I’ve been following for years, since his involvement with Tilda Swinton’s Scottish project “Young Adam” in 2003 with Ewan McGregor. It’s steamy love story set on a Scottish barge, another unlikely setting. It’s no surprise to me how well this is directed and how strongly audiences and critics all over the world are responding to this suspenseful tale that had me on the edge of my seat, I’m telling you. Why did I resist this film for so long? I don’t like Westerns. 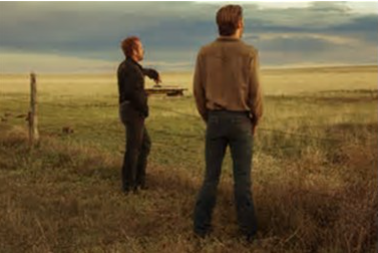 And anything that calls itself a “neo-Western” gets my critics’ suspicions up to a very high level of genre busting, But “Hell or High Water” does just that. 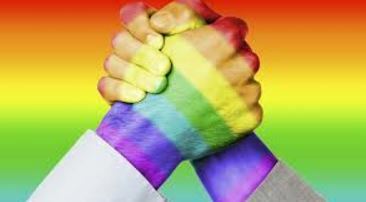 It sets out to do something that has never been done before and it fulfills all its’ promises. It’s something new, and something timely too in this era of the 99% who feel abandoned, impoverished and alone against a corrupt system. In this case, the Banks. The screenplay is terrific, too, in its’ freshness and nuance. Written by Taylor Sheridan who wrote the much favored “Sicario” of last year. But I feel Foster has the most difficult job of holding the whole film together with his indelible outlaw portrait of Texas insanity. And yes this film resembles “No Country for Old Men” A LOT. But just remember who won the Oscar from that excellent cast. It was Javier Bardem as Anton Cigurh, as the truly terrifying villain, which is the part Foster is assuming here. Although Foster’s hot head is out of control violence-wise, but also funny and in a strange way endearing. And here he is from an interview I did with him on my show a few years back for the also excellent “The Messenger” in a completely different kind of role. 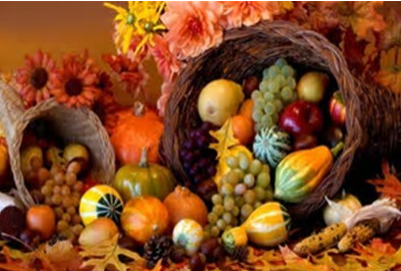 Happy Thanksgiving Dear Readers, Dear Cineastes, Dear Lovers of Theatre! Happy Thanksgiving to all my dear readers, dear cineastes, dear lovers of theatre! The Indie Spirit Awards announced their nominations today. So, what does it mean, these days? Not much. But something, but…well, in terms of influencing the Oscars, really not that much. Unless you’re Ben Foster and I’ll try to explain why. Most of these worthy Indies get a shout out, maybe a slight nudge into bigger distribution, bigger recognition than they would have otherwise, but it serves to illuminate Oscars voters as they sit home for the holidays in Aspen, Bel Air or wherever, as to which DVDs of Oscar movies under consideration in their Oscar pile, which believe me grows and grows like the Grinch, at this time of year. It tells them what to watch and what to skip as to what’s been presented to them so far. The Indie Spirit Awards, and the Gothams, bless their feuding hearts, tell Oscar voters what to watch this year, and this year it’s resoundingly for “Manchester by the Sea” and also “Moonlight”, as expected, but several things didn’t happen as planned. 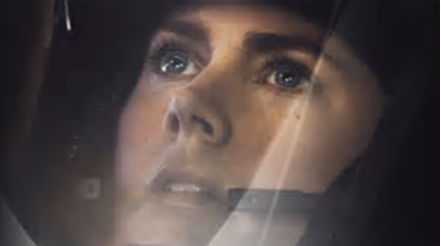 Like the ascendance of “Jackie,”which got a plethora of nominations besides Natalie Portman as Best Actress. It also got Best Picture, Best Director(!) and more. There are two female directors nominated and I am SURE that they won’t be come Oscar nomination Day. They are for sure most likely not in, while the much-liked and respected Kenneth Lonergan of “Manchester” and also, probably Martin Scorsese for “Silence,” will get included instead of the women directors, worthy though they may be. Andrea Arnold and Kelly Reichardt are the ladies in question. And their films “American Honey” and “Certain Women” which I admired greatly while covering it at the NYFF. Pablo Lorain’s shocking (to many, but not to me) nomination for Best Director for his superb, blood-curdling, but at the same time sensitive helming of “Jackie” is very likely the Man of the Hour, and the VERY snobby, insular Director’s Branch of the Academy is going to like Lorrain a lot. Leaving Jenkins to probably win Best Director at the Indies, while the Academy skunks “Moonlight” because it’s too-too GAY. Spreading the actors into an ensemble, may mean lazy Oscar voters won’t even take the time to find out who Naomie Harris is, who she’s playing or why they should nominate her. I don’t think “Moonlight” is going to be watched. It’s “Carol” all over again. And that stand up and Out Lesbian love story was something they weren’t going to nominate for Best Picture. The two lead actresses, sure. Big stars like Cate Blanchett and Rooney Mara, with name recognition value. But who the hell is Naomie Harris? This helps Mahershala Ali in Supporting because the Indies MAY encourage(Six nominations for “Moonlight” the most this year) the tired-eyes AMPAS voters, MAY watch the first 15-30 minutes of the film before they decide it’s too GAY for them, and everyone’s a crack head. But Mahershala’s character dominates those precious beginning minutes quite beautifully. And if they’ve been paying attention, they’ll find out that he’s also in real life a Muslim. DONE. And he may win in this category. Academy, in this election year, giving a main Oscar to a Muslim actor of color would make a HUUUUUGE statement. But I worry about the hugely talented Naomie Harris. (She’s the crack-head Mom, btw.) Also Michelle Williams not getting nominated for “Manchester by the Sea” is RIDICULOUS! The Oscars WILL nominate her. Only Molly Shannon for “Other People”(what?) in that category has a chance to make an impact in Supporting Actress. They know her from SNL. Now another anomaly is that “La La Land”, “Fences” and Martin Scorsese’s just completed and beginning to screen “Silence” are not nominated at all for the Indies because their budgets were too large. The Indie Spirits are solely for Indie films. And Weinstein’s “The Lion” was also deemed ineligible. And you can bet for sure that they Academy will watch all four of these biggies and probably nominate all four in a great variety of categories. 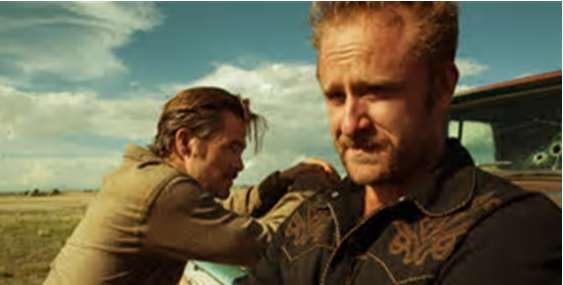 I’d also like to give a BIG shout out to the fact that the always excellent Ben Foster got a Best Supporting Actor nomination from the Indies for “Hell or High-Water.” The New York Times has already named him the Best Actor of his Generation a year or two ago, and I bet they come back around to loudly remind everyone that they got there first with Foster. His nomination could knock already-awarded Jeff Bridges out of competition in that category perhaps completely. The superb Foster has never even been nominated for the first class work he’s done FOR YEARS! (See “9:10 to Yuma,” etc. etc.) The time is right for him to be acknowledged STAT! Naomie Harris, too, but that’s a longer shot…I hope not, but…I can just hear Ms. Harris somewhere in England saying “Thanks Indies, but I’d rather have the individual nomination.” Joel Edgerton, for “Loving,” who was completely shut out for Lead Actor is probably complaining that he didn’t get nominated AT ALL! Whereas Casey Affleck who changed his career with his indelible drunken janitor/reluctant father figure in “Manchester” will totally win here. Both he and Natalie Portman can go two-for-tw0 at Indies and the Oscars, and I wouldn’t be surprised if they did! “School of Rock”Opens To Rave Reviews in London! “School of Rock is a triumphant return for Andrew Lloyd Webber as the king of hit musicals. This guitar-laden reinvention has echoes of his rockier shows such as Joseph and the Amazing Technicolor Dreamcoat. But, better still, he’s succeeded in creating another genuine family show. This musical is full of fun and energy and has a universal appeal which could make School of Rock a West End smash. On Broadway, School of Rock – The Musical is currently in performances at the Winter Garden Theatre (1634 Broadway). The musical is based on the smash hit 2003 film of the same, featuring music from the movie, as well as an original score by Andrew Lloyd Webber, lyrics by Glenn Slater, a book by Julian Fellowes and direction by Laurence Connor. School of Rock – The Musical opened to rave reviews on Sunday, December 6, 2015. 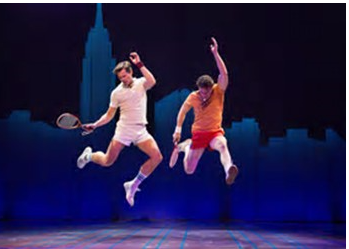 This Ben Brantley New York Times ‘Critics’ Pick’ “is an inspiring jolt of energy and mad skillz,” raves Jesse Oxfeld of Entertainment Weekly. 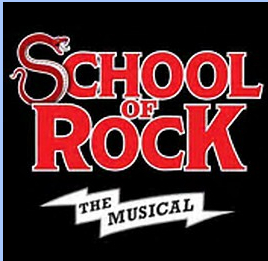 And in his four-star Critics’ Pick review, Time Out’s David Cote proclaimed, “School’s IN – forever!” School of Rock – The Musical was nominated for four 2016 Tony Awards, including Best Musical, Best Score (Lloyd Webber and Slater), Best Book (Fellowes), and Best Leading Actor in a Musical (Alex Brightman). Based on the hit film, School of Rock – The Musical is a hilarious new musical that follows Dewey Finn, a failed, wannabe rock star who decides to earn a few extra bucks by posing as a substitute teacher at a prestigious prep school. There he turns a class of straight-A students into a guitar-shredding, bass-slapping, mind-blowing rock band. While teaching these pint-sized prodigies what it means to truly rock, Dewey falls for the school’s beautiful, but uptight headmistress, helping her rediscover the wild child within. School of Rock features choreography by JoAnn M. Hunter, scenic and costume design by Anna Louizos, lighting design by Natasha Katz, and sound design by Mick Potter and music supervision by Ethan Popp. Andrew Lloyd Webber, once again, has the rare distinction of having three musicals running simultaneously on Broadway: School of Rock – The Musical, CATS, and The Phantom of the Opera.